As you may have seen or read, Boston and much of the American Northeast got dumped on yesterday. 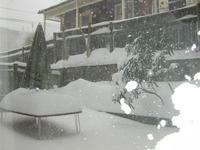 At 8:45am this morning the snow is still falling, or rather blowing sideways under the force of strong wind gusts. We managed to get all our weekend shopping done yesterday before the storm hit, and are content to hole ourselves in for the day. They’re saying the snow will continue on through the day. I wouldn’t be surprised if much of Boston is be closed tomorrow for cleaning up. Happily, my broadband connection is doing just fine. 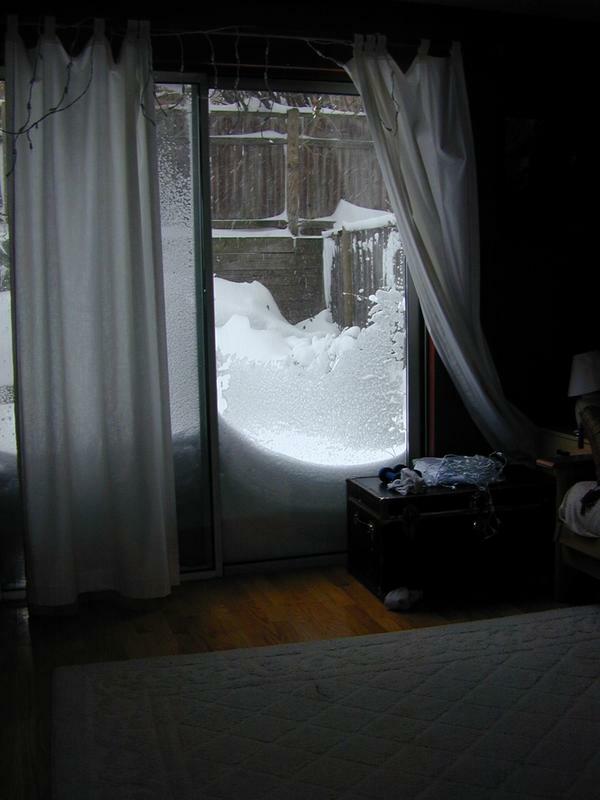 Here are a couple of pictures from a few minutes ago, showing: snow piled up against my patio door, and the back yard.